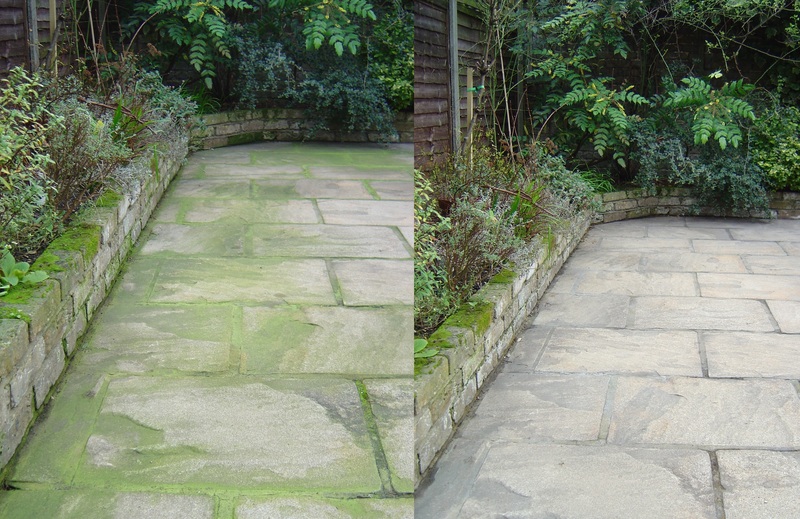 The easiest and most effective way to treat and prevent mould, algae and moss on all hard surfaces. No Pressure Washing or Scrubbing Required. Just dilute and apply – end of job. MMC-Pro moss killer is a dynamic combination anti-viral/anti-bacterial disinfectant, fungicide/algaecide and detergent. It kills mould, algae and moss in typically 2-4 days, and has a slow cleaning action in the following weeks and months. MMC-Pro moss killer is suitable for use on all exterior hard surfaces including drives, roofs, paths, tennis courts, artificial turf, concrete, tarmac & block paving. MMC-Pro moss killer is readily biodegradable, PH-neutral, contains no bleach or acids, and is fully HSE-approved. MMC Pro is applied in a simple, quick and easy to follow three step process. When treating Moss, ensure you apply MMC-Pro such that it is in contact with the moss stem structure and not just outer foliage. To treat a standard size tennis court at the recommended dilution rate, 5 tubs of MMC Pro Moss Killer are required. Applied with a knapsack sprayer, the standard coverage rate should be 4-5 m² per litre of dilute. Apply on dry surfaces and leave it for 3-5 hours so that the chemical can work effectively. Approved under the control of pesticides regulation 1986 for use as directed. HSE 7824. Use MMC-Pro safely. Always read the label and product information before use. Contact with plant life should be minimised. Limited run-off or over-spray onto grass, soil or hardy plants will not normally cause damage, and where heavier run-off or over-spray has occurred, the area should simply be flooded with fresh water. Pets and unprotected persons should be kept off the treated surfaces until the product has first dried (typically 3-5 hours). Please note: in continually dry conditions the dead moss and its roots can remain attached to the surface, in which case we recommend brushing off dead growth after watering/rainfall.